Tapas Pal in a file photo. 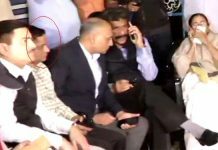 Kolkata, 03 January: ARRESTED Trinamool MP Tapas Pal has been remanded in CBI custody for another three days by a court in Odisha. Pal, was produced before a special CBI court in Bhubaneswar this afternoon following a three-day CBI custody since 31 December. 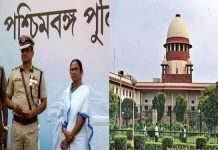 During the hearing today, CBI lawyer appealed for another four-day remand for the Trinamool MP on the ground that the investigating agency needed more time to question Pal because he was not cooperating. On hearing both sides, the judge remanded the actor-turned politician to three days CBI custody. He would be produced before the court again on 06 January. 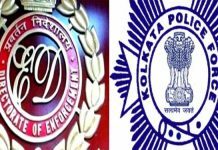 Pal was arrested by CBI in Kolkata on 30 January in the multi-crore money laundering by the Rose Valley Group. He was flown to Bhuaneswar that night itself as the litigations against Rose Valley were filed in Odisha.